Fire Safety Rocks: Episode 103! 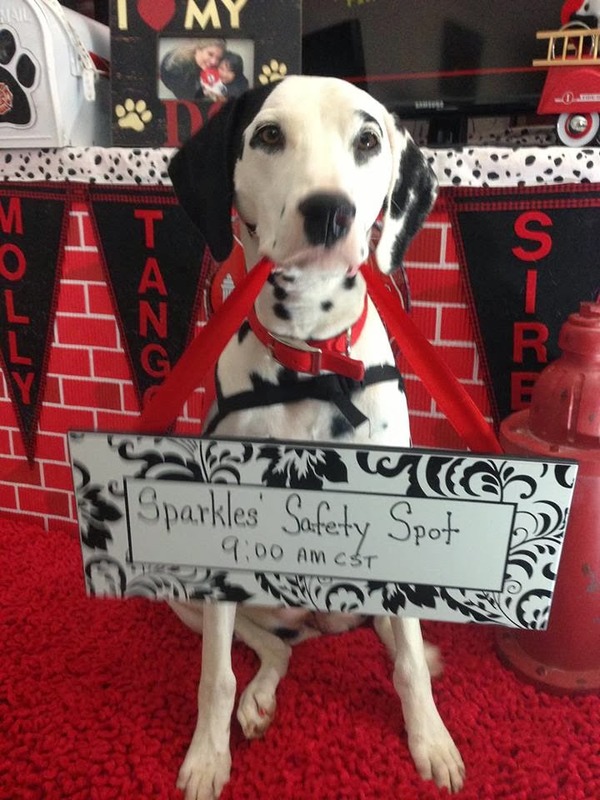 Hope you can join us for the 103rd Episode of Sparkles' Safety Spot﻿! Today we will be talking about smoke alarms and how they can help keep you safe! Boys and girls, join in the fun! 9:00 AM CST at http://www.firesafetydogs.com. Hope to see you there! Brought to you by the Keep Kids Fire Safe™ Foundation﻿ and the good folks at First Alert﻿. New Smoke Alarm Safety Message! Live Streaming Soon on MomTV! Live Streaming from our Living Room! Give a Dog a Bone! 103rd Episode of Sparkles' Safety Spot! Dates and Times for Skype Visits are Going Fast! Two New Fire Safety Tips! Front Page of the Courier!